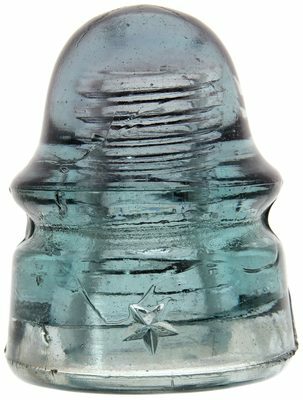 Lot 119: CD 162.3 STAR Color: Steel Blue w/ hints of Purple Description: 3/8" base flake and two stress lines up from the base, all in the rear, otherwise very near mint. You can see a bit of a purple halo from the wire ridge up and over the pinhole. This style is a "chubby" and is a much heavier variant of a CD 162. The nice large bold star adds to the appeal!